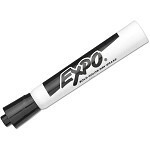 Available in a convenient 4-pack bundle, these Expo Dry Erase Markers are an excellent choice for the office, classroom or home! 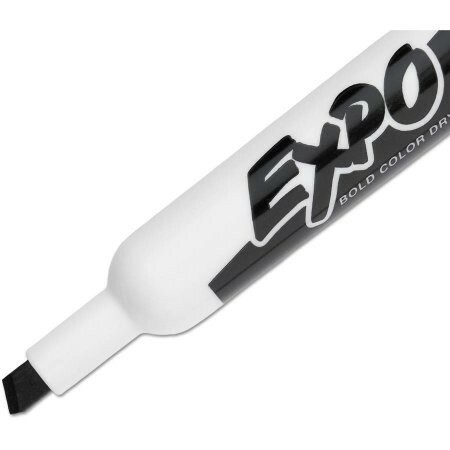 These nontoxic products include a chisel tip, which comes in handy when writing math symbols in a formula or getting small details right. 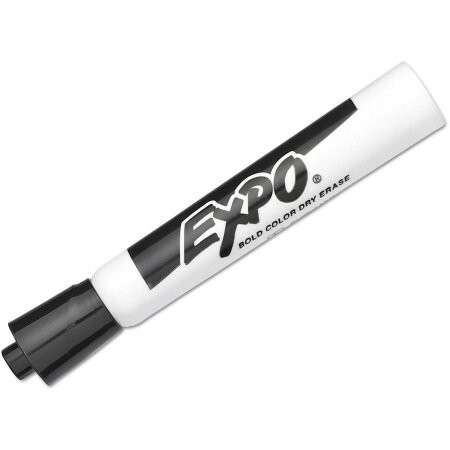 These Expo black markers work with dry erase boards, glass and other non-porous surfaces, so they're good for keeping handy in your backpack or pocket. 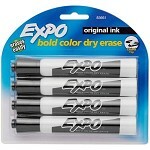 They also erase easily for extra convenience!